It is true that in 30 years of practicing law I have never handled a criminal matter. I watch a lot of criminal trial shows on TV, though. Shouldn’t that qualify me a little bit? After all, I certainly know never to talk to the police or answer a single question they ask unless my lawyer is present. I know never to give the police consent to search my car. I know never to agree to take a sobriety test. I am armed with a lot of knowledge about the criminal justice system from this. So wouldn’t it be a neat chance to add to my plethora of TV criminal justice knowledge by trying a real murder case? Jurors Want to Know: Why Are We Here? Several recent trials in Georgia demonstrate that completely. In a trial in Gwinnett County last month, a jury awarded $17.8 million to the widow of a man who plummeted three stories to his death after trying to close an improperly installed dormer window. No offer of settlement by the insurance company who represented the company at fault was even made until six days before trial. Understand, the trial occurred only after years of depositions, hearings, document exchange…known as discovery. Yet the insurer didn’t even attempt to broach resolution until six days before trial. The plaintiff’s settlement demand had only been $1 Million. Now the insurer is looking at a judgment for $17.8 Million. The insurer could have saved $16.8 Million had it even attempted resolution. 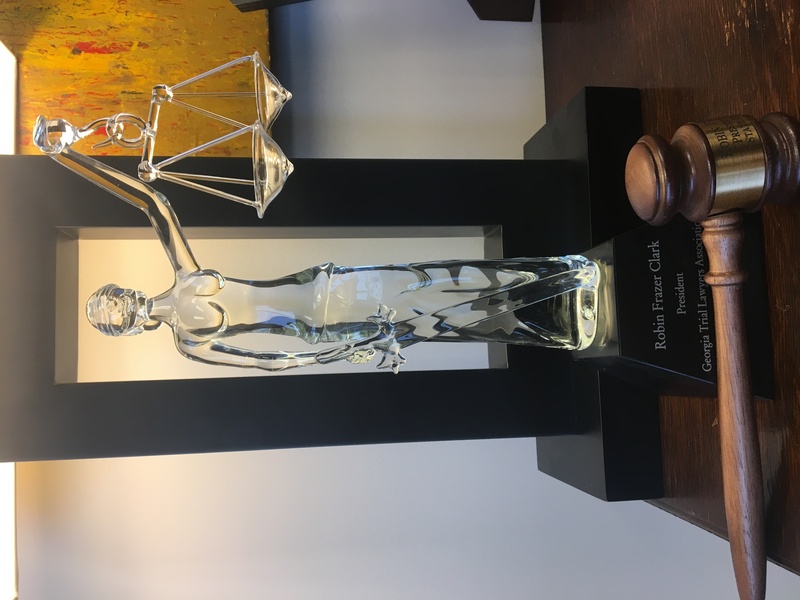 In another case recently tried in Cobb County, the jury returned verdicts for two plaintiffs of $77,000.00 to one plaintiff and $80,000.00 to the other. They also awarded an additional $35,000.00 for property damage. Highest offers prior to trial were $4,000 and $5,000 respectively. Yet the plaintiffs’ medical expenses alone, without even considering pain and suffering, were $12,000 and $9,000 respectively. When an insurer offers half of a plaintiff’s medical expenses it is not really trying to reach a good faith resolution of the case. The Problem with Juror No. 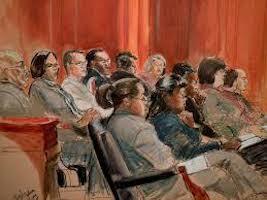 7: When Can the Trial Judge Remove a Juror? I have been following the talc trials against Johnson & Johnson regarding the claims that their powder product gives women ovarian cancer and lung cancer. I hope you have been, too. They are, obviously, very interesting. I can’t look at the Johnson & Johnson powder of bottle sitting on the vanity of the locker room where I work out without thinking about the cases and the many women who have died of these cancers allegedly from years and years of use of Johnson & Johnson powder. The most recent trial in California was just recently declared a mistrial by the trial judge, Judge Margaret Oldendorf. The case is Weirick v. Brenntag North America, BC656425, California Superior Court for Los Angeles County (Pasadena). It involved a claim that use of Johnson & Johnson powder had caused the plaintiff’s mesothelioma, a specific type of lung cancer. The Plaintiff, Weirick, 59, is a school counselor who said she’s been using J&J’s talc products, such as baby powder and the company’s former Shower-to-Shower line, for more than 40 years. She was diagnosed with mesothelioma in 2017 and said her only exposure to asbestos came from use of talc products. Previous juries had come out with verdicts of $25.75 million and $117 million for the plaintiffs, a defense verdict and two mistrials. This latest trial in California was particularly interesting due to the alleged misconduct of one juror, now scandalously known as “Juror No. 7.” (By the way, if you are ever on a jury and in the course of the trial become known by your Number, it is never a good thing). Juror No. 7, apparently, refused to deliberate with the other 11 jurors, to the point that the foreman asked the judge to replace the juror with an alternate. The defense objected and asked for a mistrial. The plaintiff’s counsel agreed to the substitution. This is interesting because it was never disclosed what side Juror No. 7 was holding out for; Juror No. 7 could have been a juror favorable for the defense and yet defense counsel objected and moved for a mistrial. In fact, it was never disclosed which side the entire jury was leaning in favor of, only that at the time a mistrial was called by the trial judge, the vote was 8-4. 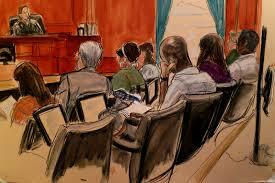 At that time, neither side knew which side had the 8 jurors. Since then, it has come to light that the 8 jurors favored the Plaintiff. George Chen, a 30-year old computer analyst and one of the eight who favored a plaintiff verdict, said he was “a little frustrated” and “really wanted to push this through.” He said the four members who voted for the defense seemed to have ”the mindset of … business people” concerning what a responsible company should do. Even if there were mere traces of asbestos, J&J should have provided warnings, Chen said, because “people have a right to know.” Moreover, he noted, J&J for decades has offered a baby powder made with corn starch, and could have retired the talc version to eliminate any risk. What is the Role of a Trial Judge? “This robe doesn’t make me anything other than human.” Think about that for a second. Who else wears a cape at work? A Super Hero? Every word that comes out of a trial judge’s mouth in front of a jury has some persuasion attached to it…some hidden meaning. Jurors often take their cues from the trial judge. If the trial judge doesn’t seem to like a certain attorney, well, guess what? The jury probably won’t like that attorney, either. Jurors may be thinking: “Who does the judge think should win? He’s the expert, he knows. Does he like the defense attorney better than the plaintiff’s attorney? Does she think the plaintiff is exaggerating? He was rude to the female lawyer…maybe he thinks she is incompetent? What will he think of us if we find for the plaintiff? And return a large verdict? Maybe he thinks that shouldn’t happen in his courtroom?” As one trial lawyer said about Judge Ellis. “He can be very dominating,” said Jim Brosnahan, a California trial lawyer who defended John Walker Lindh in the American Taliban casebefore Judge Ellis. “The interesting question is: Is it aimed fairly at both sides, or is it particularly at one side?” Also, keep in mind how extraordinary it is that Judge Ellis essentially apologized to the jury for his own comments, recognizing they may have sent the wrong signal to the jury. This is a very rare occurrence for a judge to do that. First, let me say, that we are blessed with many wonderful trial judges in Georgia. I have tried nearly 75 jury trials in the last 30 years of practicing law, all in Georgia, and with the very blatant exception of one Superior Court judge (she knows who she is), I have always been treated with the utmost respect and courtesy by our trial judges. Even when we may disagree, we do so with civility, not taking personal shots at one another. That is not to say that some aren’t demanding, or controlling, or picky, or even temperamental. Many trial judges are all of those things, because they are human and sometimes the stress of a trial gets to them the way it gets to everyone involved or they simply see their role as being in command of their courtroom. It has been my experience that our Georgia trial judges treat all those who come before them with the civility expected out of someone who wears a robe, has her name on a courtroom and has been given the authority by the State to preside over a trial, which is often one of the most important moments in a citizen’s life. Am I Safe Walking in a Crosswalk? 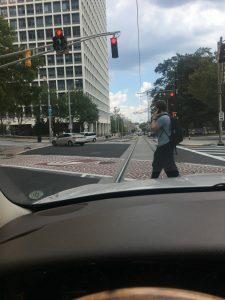 Every day as I travel down Edgewood Avenue in Downtown Atlanta in the middle of Georgia State University, some pedestrian, without fail, decides to take a risk and walk out in front of either my car or another car as I watch. The only time this doesn’t happen is when Georgia State is on Spring Break. It is a stressful trip, knowing that in addition to the numerous cars all around me that I have to be aware of, I have to be ready to slam my breaks in a nanosecond to avoid hitting a pedestrian walking out in front of my car when I have the right-of-way. I am aware of the plentiful crosswalks available for pedestrian use, but they are mostly ignored. I am talking about students who ignore the crossing signals and walk across a street either not in a crosswalk at all, or in a crosswalk but cross when the signal is telling them to stop. This typical daily occurrence with pedestrians has me thinking about just exactly what are the laws in Georgia pertaining to pedestrians? Is it just me or are the pedestrian signals getting more complicated? What do they actually mean? When does a pedestrian have the right-of-way to cross the street? Can a driver of a vehicle just mow down a pedestrian if the pedestrian is not in the crosswalk? How about if the pedestrian is in the crosswalk but the flashing hand has started with a stopwatch ticking down, telling the pedstrian how many seconds he or she has to cross the street before the signal turns? Is a pedestrian required to know how fast they can walk and how many seconds they typically take to cross a street? Does it depend on how many lanes the street is? And whether there is a headwind or tailwind? My drive today has me thinking about all of this. Hmmm…. (a) The driver of a vehicle shall stop and remain stopped to allow a pedestrian to cross the roadway within a crosswalk when the pedestrian is upon the half of the roadway upon which the vehicle is traveling, or when the pedestrian is approaching and is within one lane of the half of the roadway on which the vehicle is traveling or onto which it is turning. For the purposes of this subsection, “half of the roadway” means all traffic lanes carrying traffic in one direction of travel. It seems to be in vogue with some trial judges currently to allow jurors to ask questions of witnesses after both sides of the litigation are finished asking their questions. This is currently a hot topic due to the Tex McIver trial, currently being tried in the Fulton County Superior Court in front of Judge Robert McBurney. Judge McBurney, rather famously, permits jurors to ask questions of witnesses after questioning by the prosecution and the defense counsel. Presumably, Judge McBurney allows this practice in civil cases as well as criminal cases, although Superior Court doesn’t see as many civil cases as criminal. All felonies in Georgia must be tried in Superior Court. The practice of Judge McBurney allowing witnesses to ask their own questions was discussed extensively before the trial in a podcast produced by the AJC called Breakdown. It is hosted by veteran legal affairs journalist Bill Rankin and I highly recommend it. In that podcast, defense counsel Bruce Harvey gives his opinion on why it is not only a bad practice to allow jurors to ask questions, but, also, why it is probably unconstitutional. For example, we all know that the 5th Amendment of the Constitution gives a criminal defendant the right to remain silent, even throughout the trial, so that the government must prove guilt beyond a reasonable doubt without any assistance from the defendant. Harvey, rightfully, preposes the hypothetical of a juror asking “Why didn’t the defendant take the stand to tell us what happened?” Of course, the judge is not going to permit that question to be answered, but the jurors (or at least the one juror who asked that question) will know the judge didn’t approve it and wouldn’t permit it to be answered, and the bias that answers “why” is naturally because the defendant must be guilty. So simply by denying that juror’s question, the 5th amendment constitutional right is implicated and violated because it was allowed even to be raised in court. Yesterday I was in the Chicago O’Hare airport after taking the deposition of a defense expert anesthesiologist at the University of Chicago and sat down for lunch next to a nice couple from the Boston area. We started talking and I, of course, told them I am a plaintiff’s personal injury trial lawyer from Atlanta in Chicago for the purpose of taking an adverse expert witness’s deposition. They were mesmerized. We talked a bit about the case which led, predictably, to their telling me about their personal experiences with both the Criminal and Civil Justice Systems. The husband of the nice couple told me about his experience in serving on a criminal jury as the foreperson. Like most folks facing jury duty, at first he was upset about missing work, resented being herded around the courtroom like cattle and being kept in the dark about what was happening, and was overall just unhappy about being forced to take part in the entire process. Yet, as the testimony came in and the trial moved on,things, including his attitude, changed. The case was about a man, the defendant, who allegedly had abused his three year old son. The man had taken his son away from the child’s mother’s home but the mother wasn’t even aware of it. The evidence against the father was, apparently, overwhelming. My new buddy, who was telling me about his experience, was picked to be the foreperson of the jury. He immediately felt an enormous weight on his shoulders to do the right thing. Not all of the jurors at first wanted to convict, even though he felt the evidence to do so was overwhelming. Some of the jurors wanted to hear some of the testimony again, some of them wanted to see pieces of evidence again. They wanted to be sure. In the end, the jury voted unanimously to convict. My new friend said that when he read the verdict out loud in the courtroom, he felt an enormous sense of duty and pride. He felt moved to tears. The jurors, to a person, took their duty very seriously and followed the court’s instructions unwaveringly. He felt like he was the little boy’s hero. Now, looking back, he hopes he’ll get the chance to serve on a jury again. Both he and his wife said that if they were ever the parties in a trial, they would want people like themselves serving on their jury. Fascinating story, but I’m not surprised. This is often the story I hear from people who have served on juries, criminal or civil. The sense of duty is extremely strong. By serving on a jury, you are breathing life into the United States Constitution and doing your part as a citizen to make our judicial system work. Without jurors, the system would collapse and we would cease to be a democratic nation. Jurors ensure that a person’s constitutional rights to a fair trial by a jury of his or her peers is protected. That is not overstating things. And something about being in the formal courtroom, where lives are at stake, where injured plaintiffs seek to have the harms done to them balanced by damages from the wrongdoer, makes that sense of honor and duty to your nation come alive. Jurors are the heroes of victims of crime and of those citizens who are personally injured through no fault of their own. The courtroom is the great Equalizer, where the son of the richest man in America is the equal of a homeless person, and where the smartest graduate of Harvard University is the equal of a high-school drop-out. All persons are treated equally in a court of law. What Should You Expect From a Trial Judge? 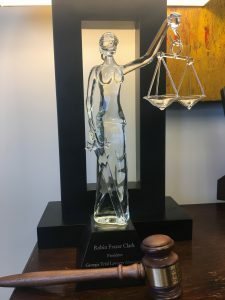 Some recent headlines about trial judges behaving badly and a recent bad experience I personally experienced at trial last week have me thinking about this: what should you expect from a trial judge? Competency? Fairness? Mercy? Understanding? Knowledge of the rules of evidence? Impartiality? Experience? Ability to stay awake during the trial? Maybe all of the above? I only half-jokingly included in the desired traits list above the ability to stay awake on the bench. Just this week an Illinois appellate court ruled that the fact that the trial judge slept through some of a murder trial did not automatically result in a reversal of the conviction or warrant a new trial. That sleeping jurist claimed he had not actually fallen asleep but was simply resting his eyes. “If I was not looking at the video, that does not mean that I was not listening and hearing everything that was being said,” said O’Connor, who called the motion “disgusting,” according to a transcript cited in the appellate ruling. So Justice may be blind but it doesn’t have to be awake? The question of what should we expect in a trial judge also has been hotly debated this week when the Senate Judiciary Committee approved a judicial appointee of POTUS for a Federal trial bench opening in Alabama. The reason for the outrage among lawyers about the judicial nominee is the fact that he is only 36 years old, has never tried a case and has practiced law for only 3 years. Many have called him “clearly unqualified” to take the trial bench and that his appointment is “laughable”. He has literally never tried a case! Can’t we all agree that to be able to preside competently over a trial by jury, make life-changing decisions of what evidence gets in and what evidence doesn’t, decide whether a litigant receives a constitutionally protected fair trial, that the trial judge should at least have tried a case before? Why me? How Did I Get Summoned for Jury Duty? As I work at my desk in my office today, I have the voir dire (jury selection) in the retrial of Ray Tensing livestreaming on one of my monitors. Some folks have called jury selection the most boring part of any trial, but it may very well be the most important, because from jury selection comes the group of local citizens who will decide the fate of the parties in the case and really decide what the conscience of the community is regarding the issue being tried. The Ray Tensing case is an excessive force case being tried in Cincinnati, Ohio this week. Tensing is the former University of Cincinnati police officer charged with one count of murder and one count of voluntary manslaughter in connection with the 2015 shooting death of Sam DuBose. The deadly encounter happened during an off-campus traffic stop. Tensing has said he fired his service weapon in self defense. The incident was captured by Tensing’s police-issued body-worn camera. A am watching the criminal trial of Mr. Tensing, who is being tried for on one count of murder and one count of voluntary manslaughter. There has already been a civil case that settled for money damages against the University of Cincinnati, Mr. Tensing’s employer at the time of the killing. It is being tried for a second time because the first trial ended in a mistrial. Watching voir dire or jury selection is helpful to me as a trial lawyer, not only in ideas of potential bias to explore but in hearing how a certain cross-section of our nation feels about jury trials in general. It is interesting that in Ohio, if a lawyer asks the Court to strike a juror for cause, meaning the juror has expressed so much bias about the issues and has stated he doesn’t think he could be fair on the case, the lawyer moves to strike the juror out loud in front of all the other jurors. For example, one juror who the judge struck for cause said in jury selection that he thought Mr. Tensing “deserved a medal” for shooting Mr. Dubose. No wonder why he was struck for cause. In Georgia, we don’t do it that way because of the fear that once the judge strikes one juror for cause, in front of all the other jurors, the rest of the jurors will figure out what to say to get off the jury and then pretty soon all the jurors are gone. So in Georgia we approach the bench and make these sort of motions to the judge at her bench. Many of the folks in the Tensing jury panel have mentioned the concern and anxiety they had simply upon receiving a juror summons requiring them to be present in court for the jury selection of this case. They have expressed their bewilderment about whey they of all people in Cincinnati received a juror summons, why they have to be there, why they have to take time out of their jobs and lives to be there…in short, why them? Why me? I’ve got jury duty and I can’t wait! Said no one ever (except maybe lawyers who almost never get to serve on a jury). You have just received your jury summons, making an already bad day worse. Now what do you do? Virginia recently gave 200 people who had been summoned for jury duty but who had failed to appear a lecture on the importance of the role of the jury in our judicial systems. “Jurors perform a vital role in the American system of justice,” Circuit Judge Jerrauld Jones told him at Friday’s court hearing, noting that the Founding Fathers thought they were so important, they put jury trials in the Bill of Rights. “Jury trials prevent tyranny,” Jones said. Judge Jones was, apparently, in a generous mood as he forgave their $100 fine and several people exclaimed “Thank you!” and “Bless the Lord!” when Jones told them he was dismissing the cases against them.